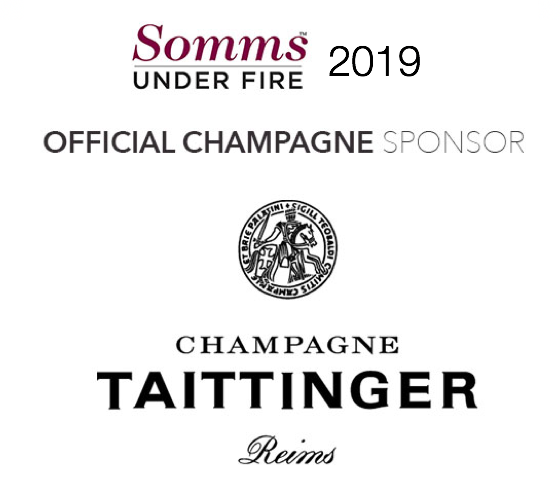 The 2018 Somms Under Fire Cocktail Challenge featured Citadelle Gin de France. Citadelle gin is produced in the South-West of France, the birthplace of another fine spirit. 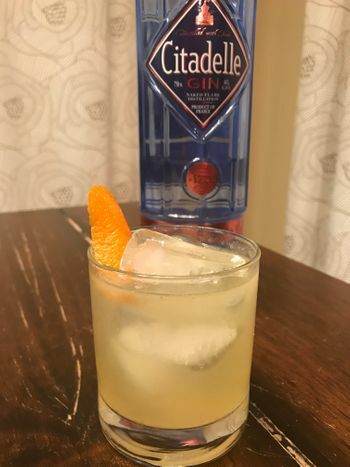 As it was produced in the 17th century, Citadelle gin is distilled in small copper pot stills with a naked flame. 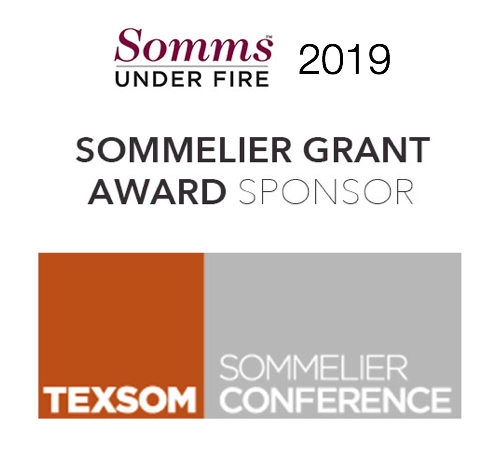 Using centuries old know-how passed down through five generations of master distillers, Alexandre Gabriel and the Pierre Ferrand cellar master have brought back to market a complex, refined and elegant gin. Inspired by Beyonce Knowles' "Formation"
In a saucepan, bring 1 C (8 fl. oz) of water to a boil and then add 2 TAZO Darjeeling tea bags, remove from heat & steep for 5 minutes. Remove tea bags promptly after 5 minutes. Add Cardamom, Cloves, 20 whole coffee beans, 1/2 teaspoon smoked sea salt, 2 pinches kelp granules and 6 drops liquid smoke & 2 "coins" fresh ginger root - (2 mm thick slices of the root - resemble the size and shape of coins). Put saucepan over low heat and steep for 15 minutes. Strain out beans, spices & ginger. While still warm, combine 4.5 oz of (strained) "tea" with 4.5 oz of honey. Stir till well combined. Add 3 additional drops of liquid smoke & stir to combine cool & bottle. Cut lemon in half; squeeze in hand or crank juicer; strain out pulp and seeds. GARNISH: Lemon Peel, trimmed into neat rectangle, rough edges removed. Twist peel, rub gently around rim of glass and add to cocktail, hooked over the rim of glass so it is partially submerged into cocktail. Smoked Salt. If sea salt container has built in grinder, then two small turns of grinder over each full cocktail; tiny pinch of ground salt over tasting portions. If container does not have built-in grinder, then sprinkle 3-5 flakes of sea salt on surface of full sized cocktail. For smaller tasting portions, one granule/flake salt per 1 oz portion. Inspired by the Beastie Boys' "Paul Revere"
Drink is built in a shaker without ice. All ingredients are added first and then ice is added to the shaker. 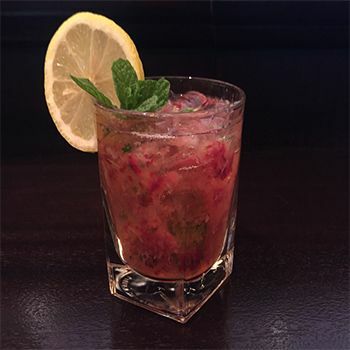 The drink is vigorously shaken and strained over an ice-filled rocks glassed. The fennel seeds, peppercorns, allspice, and almonds are all separately toasted in a skillet---high heat for a couple minutes each. Take care to keep the pan moving, as the goal is to activate oils in the spices and not burn or heavily toast. Once spices are toasted, add them to a mixing bowl and reserve. Combine sugar and water in a saucepan and cook until sugar is fully dissolved. Pour the still simmering mixture of simple syrup into the bowl containing the previously toasted spices. Add lemon and orange zest. Leave mixture to steep for 30 minutes. Strain, removing all spices and citrus. Reserve. 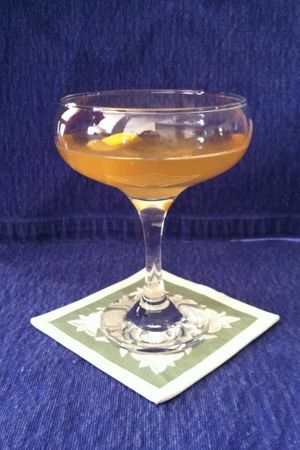 GARNISH: A flamed orange zest is the garnish which is ignited over the drink and expressed around the rim of the glass. 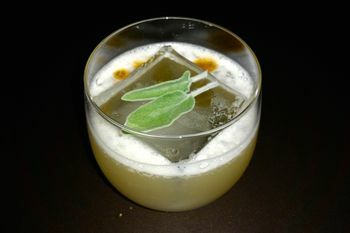 Inspired by the Isley Brothers' "Summer Breeze"
Shake with ice, double strain, coupe glass. 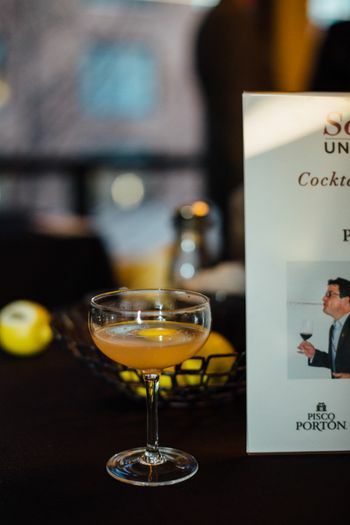 The 2017 Somms Under Fire Cocktail Challenge featured Pisco Porton Mosto Verde and challenged contestants to create a cocktail presenting a personal narrative with their selected ingredients, style and favorite song associated with creating this cocktail. 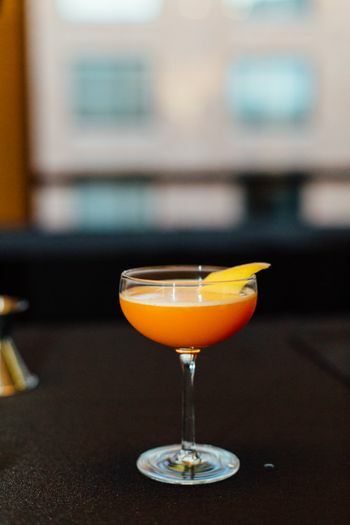 In a Boston Shaker, combine Pisco, Carrot Juice, Spiced Rooibos Syrup and Lemon Juice with ice. Shake vigorously and strain into coupe/up glass. GARNISH: Lemon Peel, trimmed into neat rectangle, rough edges removed. 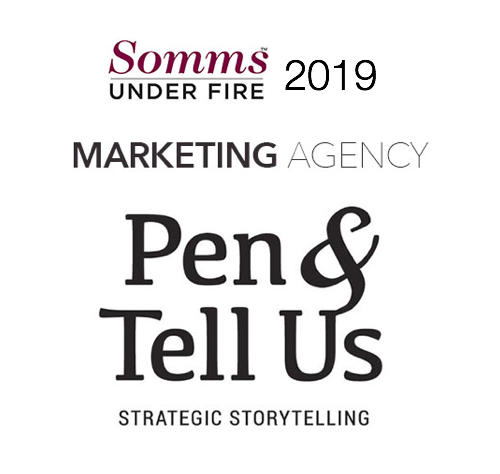 Twist peel, rub gently around rim of glass and add to cocktail, hooked over the rim of glass so it is partially submerged into cocktail. In a saucepan, bring 1 C (8 fl. oz.) Water to boil and then add 4 NUMI Rooibos tea bags and steep for 10 minutes. Remove tea bags. Add 1 C (8 oz.) white sugar and stir until dissolved. If necessary, put saucepan over medium heat to aid sugar dissolution. When sugar is fully dissolved, add 4 “coins” fresh ginger root – (2 mm thick slices of the root – resemble the size and shape of coins) & 15 whole cardamom seeds. Put saucepan over low heat and steep for 15 minutes. Strain out seeds and ginger, cool and bottle. Add Pisco, Lemon Juice, Cucumber-Thyme Simple Syrup into cocktail glass. Add ice and stir. Strain over fresh ice in rocks glass and top off with club soda. Garnish: Peel three ribbons of cucumber. Roll ribbons into cylinders, with one filled with thyme. Place on cocktail pick with the cucumber wrapped thyme being in the middle. Combine water and sugar. Bring to a boil. Take off heat and add cucumber and thyme. Let this steep while water cools down (approximately 10-15 minutes). Taste to make sure the thyme and cucumber don’t make the syrup bitter. 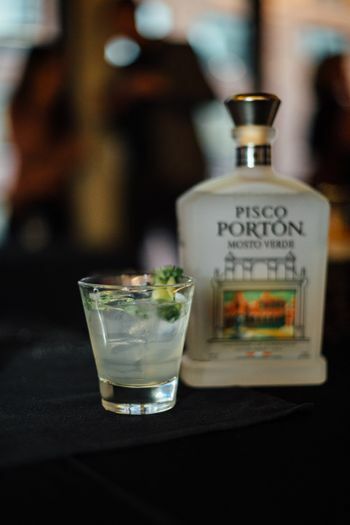 Double strain and add a splash of Pisco to fortify. Inspired by the Grateful Dead's "Sugar Magnolia"
Shake ingredients over fresh ice. Strain into a coupe. Drink many. 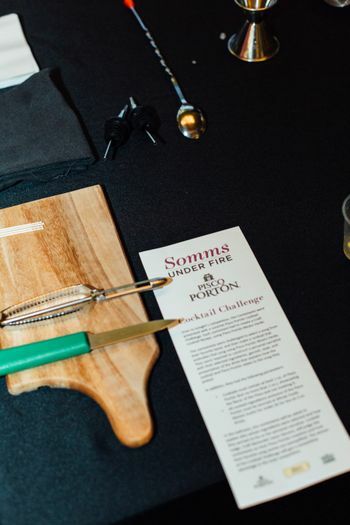 The 2016 Somms Under Fire Cocktail Challenge featured Chopin Vodka and challenged contestants to create a cocktail that showcased both their personality and the vodka. The recipes for the three delicious cocktails can be found below. Shake everything together, making sure to shake long enough to crush the cranberries against the ice. This is mostly for color and just a little tart fruit flavor. Double strain and serve. Garnish with the fruit segment on a skewer. 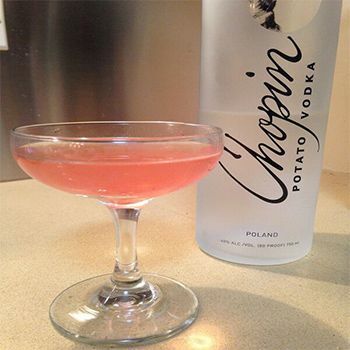 Bay infused Chopin: Put one bottle of Chopin in a sauce pan with 6 bay leaves. Turn on the heat to the lowest setting, the goal is to get warm but not encourage evaporation. It should never reach a simmer. Allow to steep warm for 20 minutes, and then remove the leaves. If more bottles are used, only add 1 more bay leaf for each additional bottle. 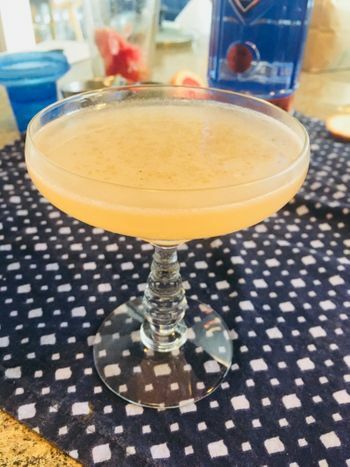 Grapefruit Syrup: The ratio here is 2.5 oz by volume to 1oz sugar by weight. Scale as needed for volume. Combine these two ingredients in a sauce pan and just bring to a simmer, then remove from heat. Muddle/mash simple syrup, strawberries, mint leaves, and vodka in a glass. Add soda to shaker. 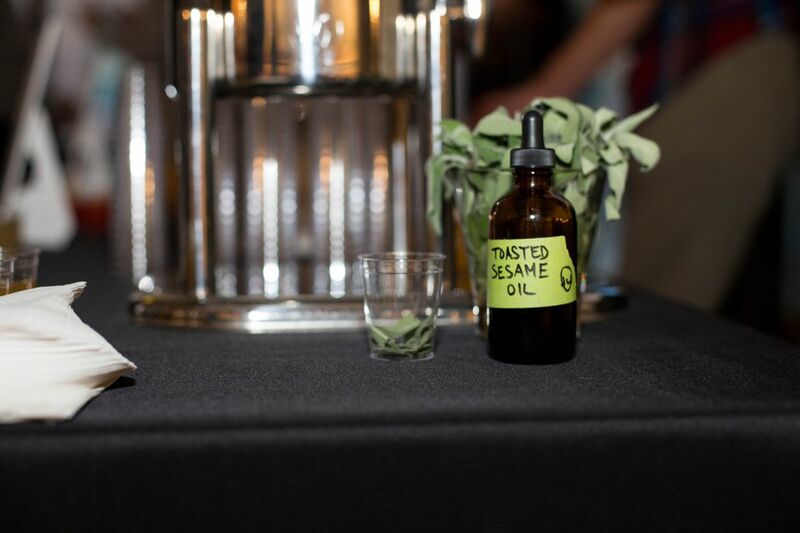 Shake all ingredients, strain into rocks glass, and top off with a dash of lemon juice and ice. Garnish with lemon wheel. 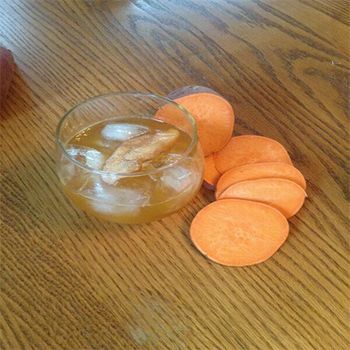 Peel and dice one whole sweet potato. Bake with 1tbl spoon of honey at 400 for 15-20 minutes. While potato is baking; bring to a boil 12oz of white vinegar, 4oz of water 4oz of honey and 2 whole cracked cardamom pods. Remove potato from oven when cubes are soft. Add to boiling vinegar. As mixture is boiled, mash the sweet potatoes.When a syrup consistency is achieved, removed from heat, strain and press through strainer. Total prep time 30-40 minutes. 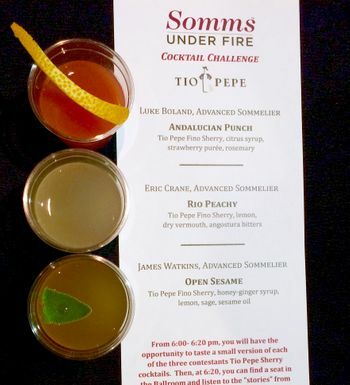 The 2015 Somms Under Fire Cocktail Challenge featured Tio Pepe Fino Sherry and challenged contestants to create a cocktail that showcased both their personality and the sherry. The recipes for the three delicious results can be found below. Combine all ingredients. Shake and strain into a coup. 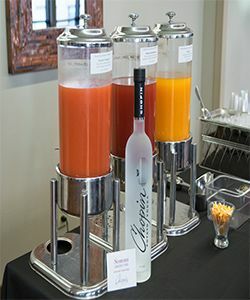 Garnish by squeezing orange twist over the drink and placing the orange twist into the coup. Juice the oranges and lemons. Strain the juice into a small saucepan and add the sugar. Heat just enough to dissolve the sugar into the juice, then strain, cool, and store. Remove the stems and cores from the strawberries. Purée the strawberries in a blender. Strain the liquid into a small saucepan. Add salt and sugar and stir to dissolve. Add rosemary and heat just until the mixture comes to a simmer. Remove the pot from the heat and allow to steep for 5 minutes. Strain the mixture, cool, and store. Learn more about Luke Boland. Combine all ingredients over Fresh Ice in a Boston Shaker. Shake correctly and strain into chilled rocks glasses. No garnish. Learn more about Eric Crane. 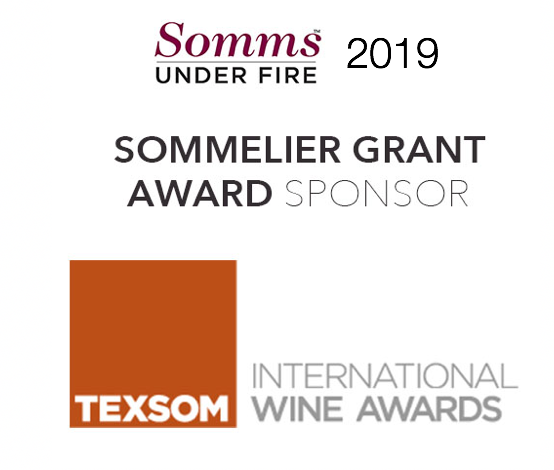 The Open Sesame, crafted by Advanced Sommelier James Watkins, was the winner of the three cocktails featured in the 2015 Somms Under Fire Tio Pepe Sherry Cocktail Challenge. Combine in shaker and add ice. Shake vigorously, strain into a rocks glass with ice. Pop two sage leaves into glass. Finish with 2 droplets of sesame oil. Enjoy responsibly. Bring mixture to a boil, whisking gently. Lower heat and simmer for 20 minutes. 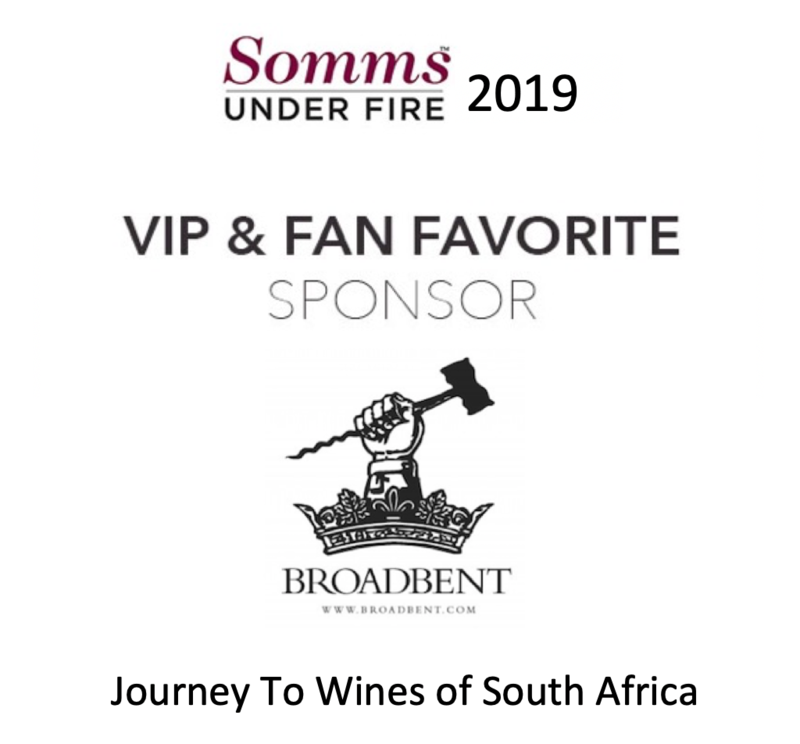 Remove from heat and strain into an attractive glass of your choosing. Allow to cool before using. Learn more about James Watkins. In a cocktail shaker filled with ice, combine all ingredients. Shake vigorously until foamy. 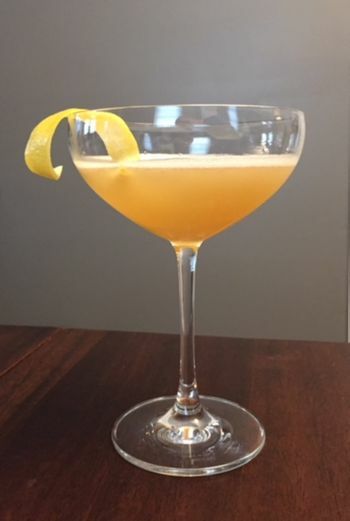 Strain in a cocktail glass. Combine, place in a squeeze bottle. Combine ingredients in a small pot and simmer for 30 minutes. Cool, strain, and transfer in a squeeze bottle. Combine in a shaker tin, pop leaves in palm, shake vigorously. Double strain into an attractive coupe of your choice. 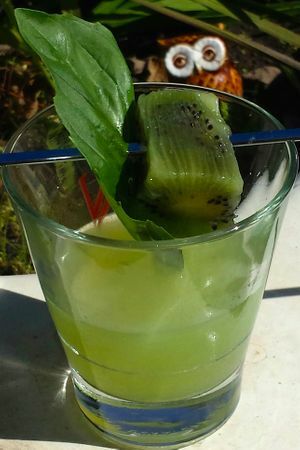 Garnish with a kiwi ice cube and a basil leaf. In a mixing glass, add seven cubes of ice. Pour rice wine vinegar onto the ice and stir to "coat" cubes. Pour off the rice wine vinegar, keeping the ice cubes. Add "Vermouth" to cubes and stir to "coat" cubes. 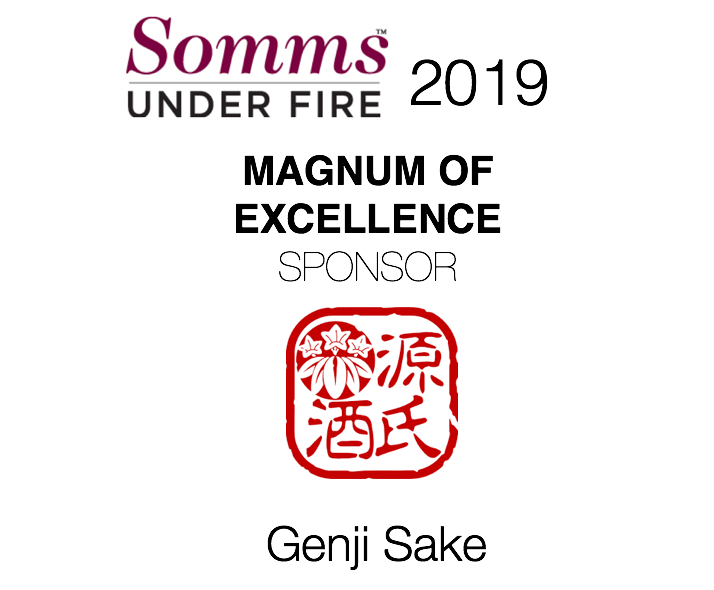 Add SakéMoto and stir until well chilled. Strain contents into a thoroughly chilled coup. Garnish with a large lemon peel. Bring water to a boil. Add lemon and orange peels. Keep at a controlled "roiling" boil for 10 minutes, then simmer for 20 minutes, stirring as needed. Pour citrus water through a fine strainer. Discard citrus peels and allow citrus water to cool to room temperature. The mixture should reduce to 2.5 cups. Combine Citrus Water, SakéMoto, and rice vinegar in a medium saucepan at room temperature. Stir gently to combine with a metal spoon. Apply heat with a medium flame until the mixture simmers. Stir in honey until completely dissolved. Add citrus peels of orange and dried lavender. Simmer for 10 minutes under a medium flame. Reduce flame to low and simmer for 30 minutes. Allow to cool, then pour all into a medium sized plastic container. Allow to macerate for 3 hours. After 3 hours, pour "Vermouth" through a fine strainer into a plastic sauce bottle. Discard the lavender and citrus peels. Note: "Vermouth" should have a distinct bitter-orange-sweet-sour taste. Combine all ingredients (except garnish) over fresh cubed ice and shake hard for 15-20 seconds. Double strain into a chilled coupe glass and garnish. Combine all ingredients over fresh cubed ice and shake hard for 15-20 seconds. Double strain into a chilled coupe glass and garnish. © 2017 All Rights Reserved Keeper® Collection, LLC.